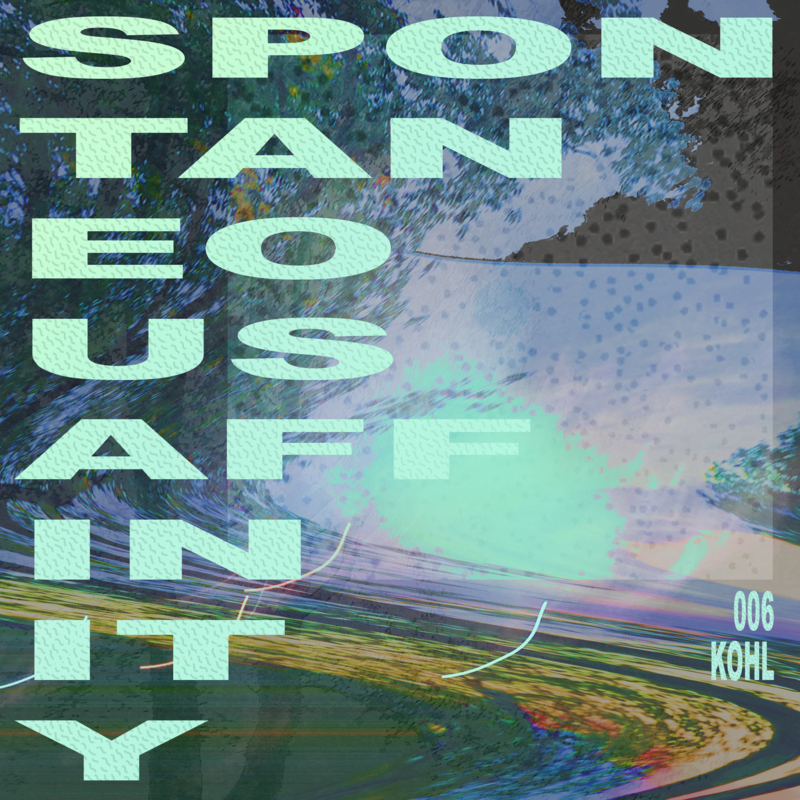 Kohl is the dub-based project of Brooklyn's Nathaniel Young, co-founder of Blankstairs and a resident at dub techno monthly Modal Form at Jupiter Disco. 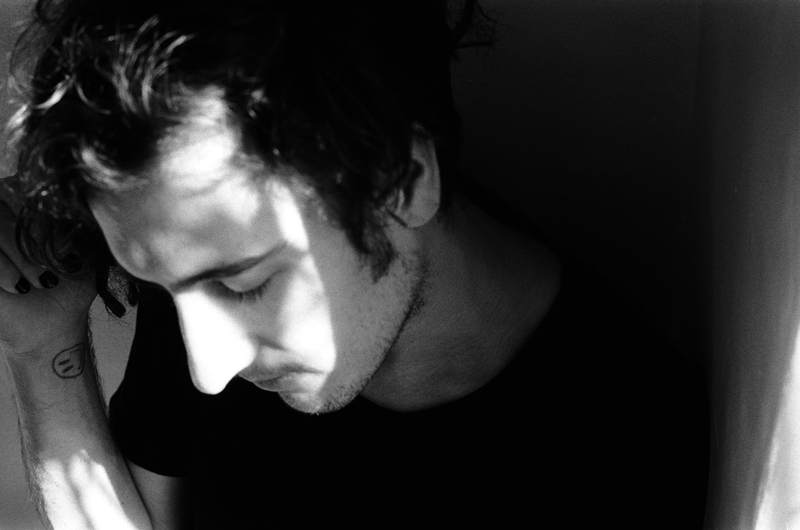 His latest EP, Learned Ethics / Imposed Ethics, was released via Mexico City's Umor Rex in March. This being the first (solo) mix I’ve released under my Kohl alias, I ended up putting a lot of unfortunate pressure on myself. I’ve had a pretty specific idea for how I wanted the mix to manifest ever since I was asked to contribute something. After recording 3 sessions over the past few months, what I felt most happy with was the result of a complete rejection of my initial vision. Funny how that works sometimes! To be honest, I think the end result was a direct response to sitting down and spending time answering these interview questions. I found I was catapulted into quite a nostalgic and sentimental trip that I feel rather pleasantly translates to the resulting mix. Thoughts of my musical journey and all the surrounding experiences were really forced to the forefront of my mind while selecting tracks during the recording process, and the moods and energies that these selections present, I feel, illustrate that. The mix was recorded on CDJs and turntables with a Pioneer mixer in my Brooklyn apartment. I grew up in the Overlook neighborhood of North Portland, OR. Throughout my early childhood, it was pretty clear that both of my parents viewed their tasteful, modestly-sized vinyl collections as relics of past lives and music wasn’t an interest that they consistently maintained or explored during my youth. It wasn’t really until maybe eighth or ninth grade that I started digging into both of their collections independently. I remember being relatively bored with my mother’s Simon & Garfunkel records and completely disinterested in her Eagles and Dylan full lengths. Conversely, when I first revisited my father’s copy of “Heroes” by the Commodores, I was immediately swept up by the swung grooves and the warm and woozy chords of the Fender Rhodes. Growing up in a religious home and having parents who were no longer interested in engaging with mainstream or "secular" culture (as they often called it) created a lot of gaps in my music history comprehension, which perhaps in hindsight was a positive thing. From birth through about eighth grade, my minimal music explorations were really limited to my parents’ modest vinyl collections and anything contemporary was strictly limited to Christian / religious culture. During this same period I was also actively playing drums, bass, and guitar in church bands, which fed my desire to be an active participant rather than a onlooker. Portland’s Multnomah County Library had a pretty decent selection of music available to the public, including copies of obscure limited releases from various Portland labels. My best friend Warren and I would go after school to the library and spend hours digging through CDs. One particularly formative discovery during that period was Grouper’s “Dragging A Dead Dear Up A Hill” released on Type Records. I think that’s when we both had realized our interests were developing towards more adventurous and experimental sonic palettes. Shortly after graduating we found ourselves stumbling into Portland’s thriving ambient and experimental scene, where we immediately felt at home. Not long after, a chance encounter at a coffee shop (more on that later) led us further down the rabbit hole to the vast world of dance music. Growing up in the church as a child, I pretty quickly understood the integral role community played in human existence, in all of its positive and negative glory. In a way I think I was forced to confront a lot of social dynamics that many individuals don’t have the opportunity to experience until much later in life, if at all, early on. Engaging with the dance music community at times has felt like a twisted deja vu of sorts. The parallels to my past life in religious communities have been quite shocking and sometimes overwhelming. Through the process though, I’ve been able to refine my ability to gauge individuals' motives and to focus on maintaining a healthy relationship to my own creative work and on better understanding the role that community plays relative to it. At its core, artistic and musical expression is extremely spiritual and personal. I think it’s important to understand what motivates and inspires you apart from community, but also that a healthy community acts as an extremely crucial support system. In short, I absolutely think individual expression and community intersect, but should be balanced with mindful moderation. Anyone who knows me well is probably tired of hearing me constantly bring up Jan Jelinek’s Loop-finding-jazz-records, but there’s nothing that will transport me quicker to a specific time and place than Jelinek’s track “Tendency”. My best friend Warren and I were 18 and had both just graduated high school. Warren was working at a local coffee shop in Portland. One day a regular came in and handed him a CD that he had put together specifically for him. It contained a few other things (including the Optimo mixtape Optimo Present Psyche Out) along with Jelinek’s Loop-finding-jazz-records. The funny thing was all the tracks had been stripped of their metadata. For a good year or so we had no idea what exactly it was that we were listening to, but we were completely enamored and obsessed. We would spend countless hours listening to Loop-finding-jazz-records on repeat while talking about life, drawing, painting, taking photos of the shadows cast on the wall from the street lights. It was quite a dreamy period and it’s safe to say “Tendency” and the rest of Loop-finding-jazz-records really laid the foundation for the musical love affair to follow. I titled my very first release, under an old alias, “Open Spaces”. It was a limited run of 50 cassettes, and for each one I included a different Polaroid that I had taken over the course of a month or two leading up to its release. The only limitation that I gave myself was that each image had to be a unique interpretation of what the concept of “Open Spaces” meant to me or looked like through my eyes at that exact moment in my life. I captured the images while embarking upon various excursions around the Northwest, either solo, with my best friend Warren, or with a group of friends. I picked this one because of its sentimental value. Mt. 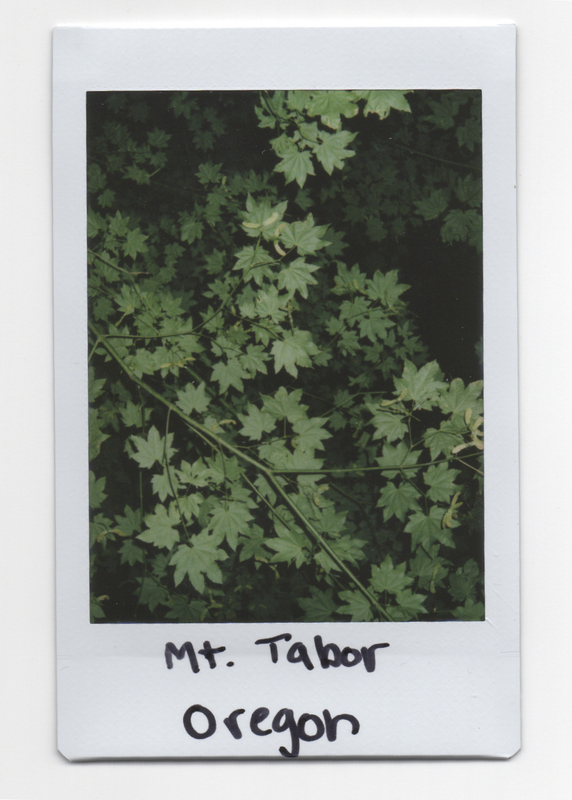 Tabor is a beautiful and vast public park, which also happens to be a dormant volcanic vent, in SE Portland. Warren and I had numerous formative experiences and discussions while traipsing around Mt. Tabor at all hours of the day. We’d discuss music, art, our latest inspirations, family life, and often spent hours unraveling the intricacies of our religious upbringings. I think without fully comprehending it, we both felt extremely safe and comfortable there. It was free from the dogma and suppressions that were plaguing our daily lives during that period. For that reason I’ll always think fondly of Mt. Tabor and its lush rolling hills and towering evergreens, and particularly the role it played in both Warren and I learning how to access creative freedom. In retrospect, Mt. Tabor really became quite an oasis for us. Later after starting our label, Blankstairs, we’d walk to Mt. Tabor and take photos or video that’d often become source material for Blankstairs related projects and designs.